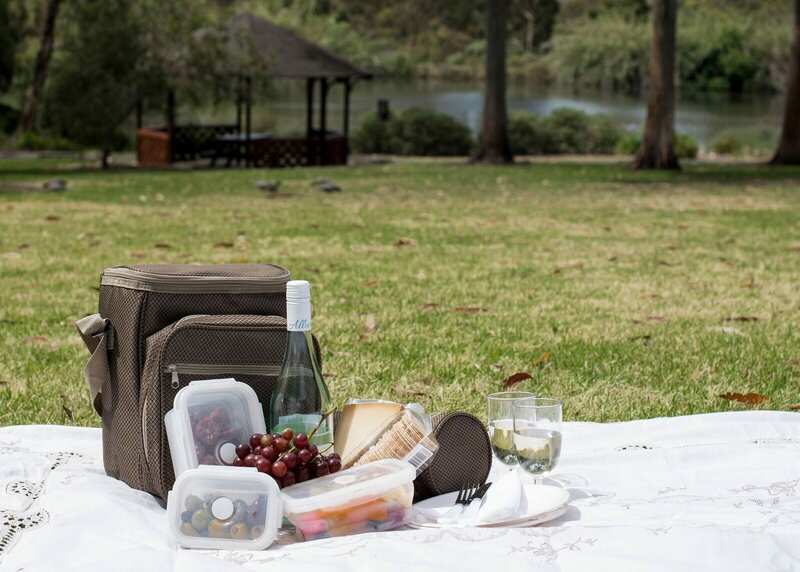 STYLISH: Smart, Contemporary Design in Luxury Jacquard Fabric. 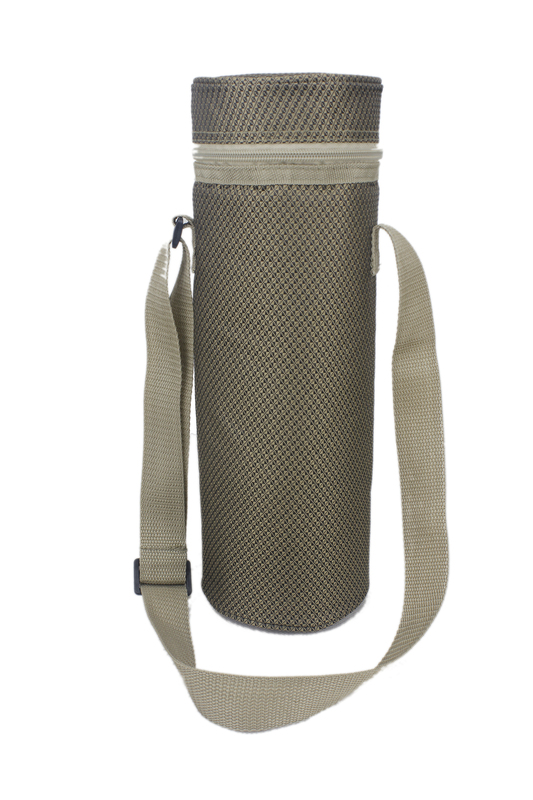 LIGHTWEIGHT: Shoulder straps & being super lightweight make it easy to carry. 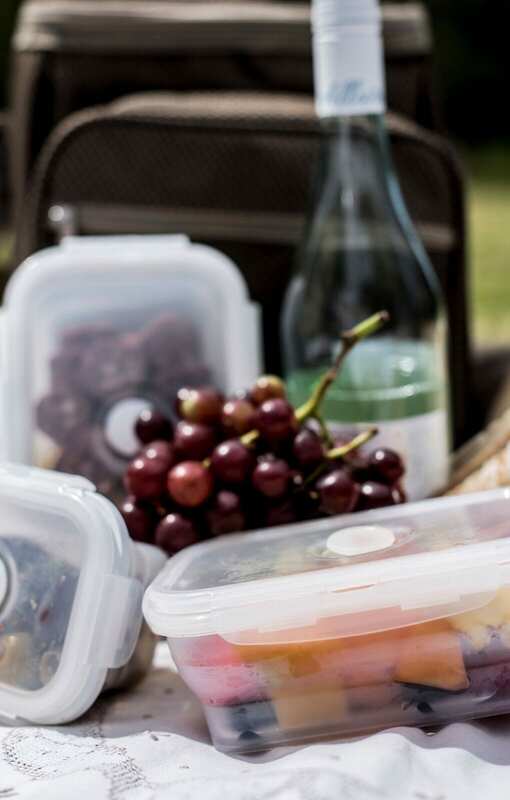 COMPACT: Complete with Cutlery, Cups, Plates & Napkins for Two People PLUS 3 Silicone, Collapsible Food Containers that Fit Snugly Inside Wine Bag. 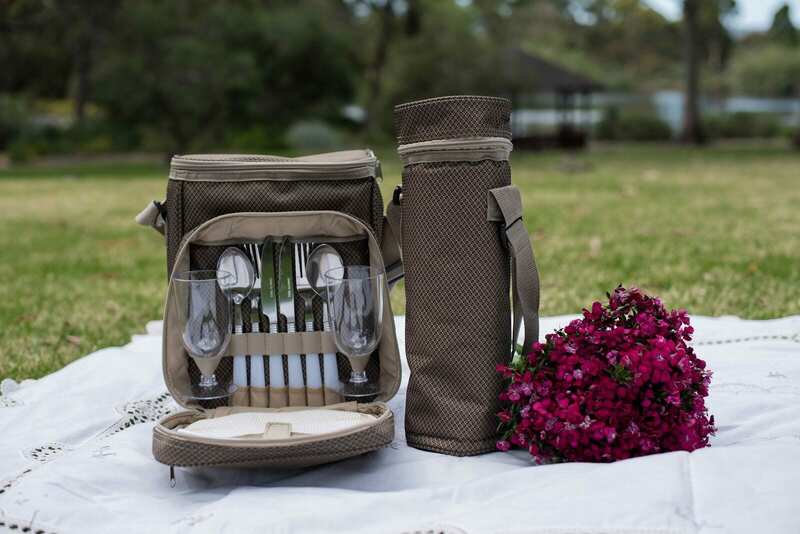 With modern picnicking in mind, this all-inclusive stylish picnic bag set for 2 has everything you need to enjoy a delicious al fresco feast. 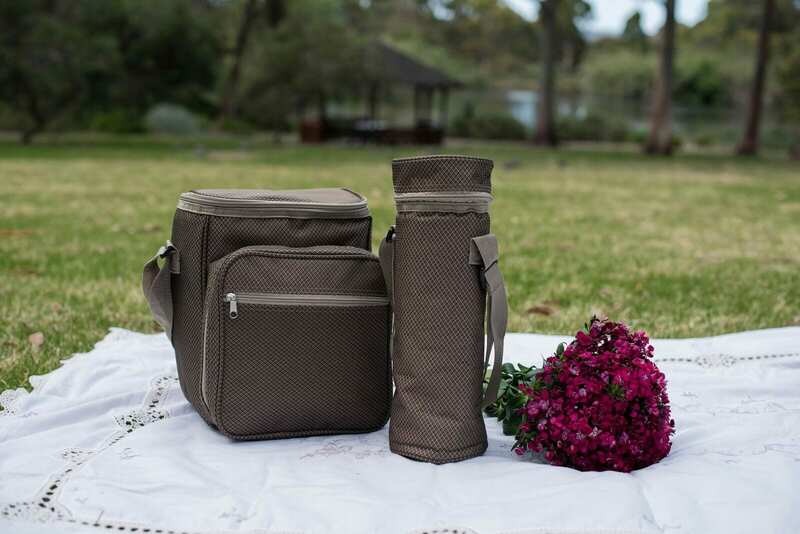 The luxurious jacquard picnic bag and matching wine cooler keep your food and drink extra fresh. 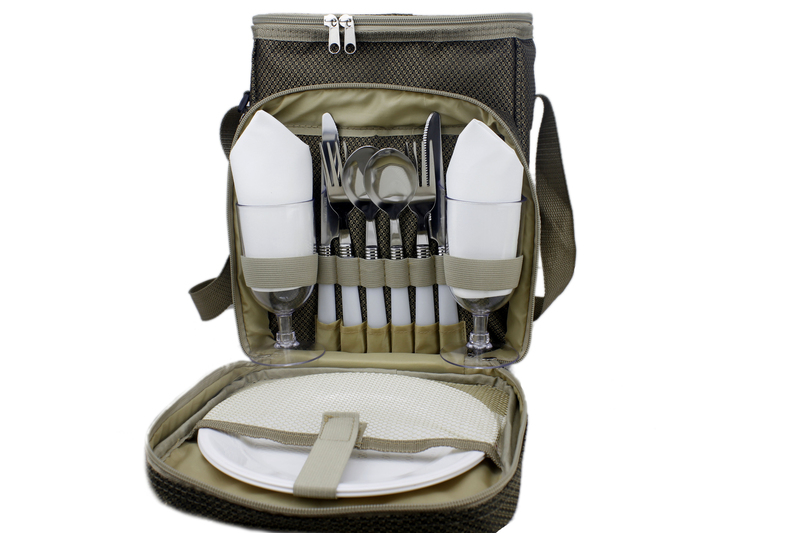 They come complete with cutlery, cups, plates and napkins (all neatly packed in a separate zipped compartment to the front). 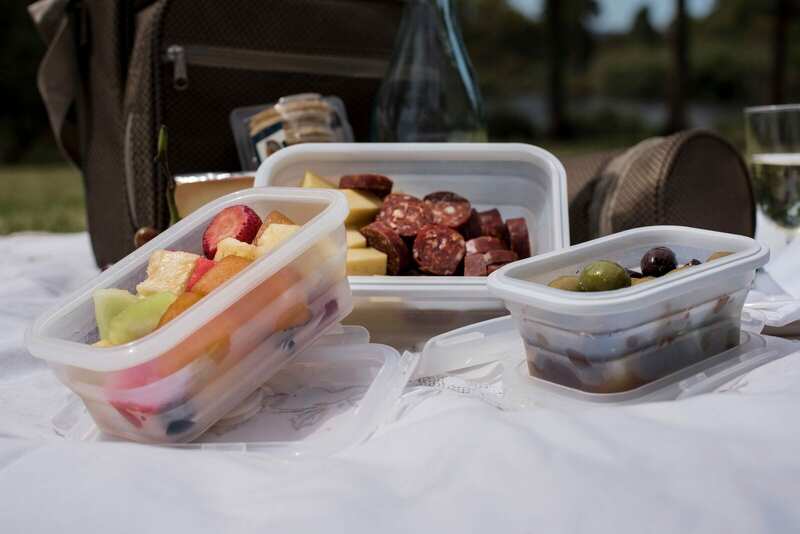 For added convenience when preparing and packing your picnic, we’ve also included 3 collapsible silicone food containers with leak-proof lids – suitable for placing in the oven, microwave, freezer and dishwasher. 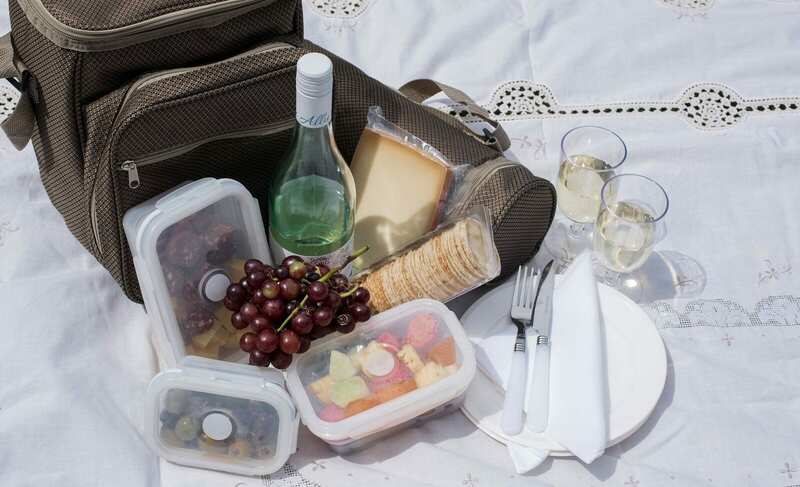 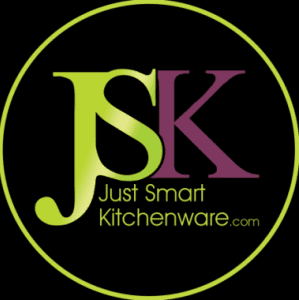 Everything is super lightweight and durable – a refreshing change from the usual cumbersome, picnic baskets!